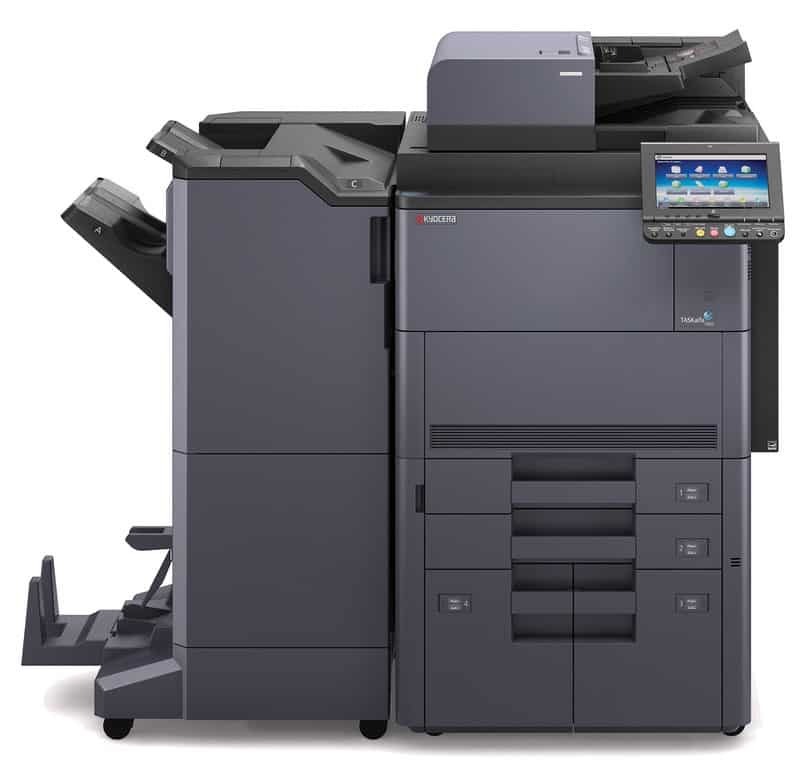 The TASKalfa 7002i is an advanced black and white MFP that offers the best of all worlds – outstanding ease of use, extraordinary image quality, fast throughput and exceptional durability. This versatile system is ideal for busy workgroups that require the flexibility to communicate in hardcopy and digital form. Print at up to 70 pages per minute, and scan at up to 220 images per minute. To further streamline processes, the customizable TASKalfa 7002i can be equipped with additional paper trays, a professional finisher and integrated plug-and-play Kyocera Business Applications. Combined with ultra-reliability and long-life technology, the TASKalfa 7002i takes the end-user experience, and your business, to another level.